As October approaches, California is gearing up for the yearly wine harvest events — one of the most looked forward to events for those in the San Luis Obispo area. These tasting events are a great way to market a specific brand or style of wine. Depending on the size of the event, dozens or even hundreds of people might attend your wine tasting event, making the potential for future customers much higher. It is very important to impress these potential customers with both the wine and the atmosphere. One of the best ways that you can make an impression on your potential customers is to hire a caterer to serve food at your event. Food can be beneficial for your event in many different ways. Food can serve to highlight the wine’s taste and to help clear the palate before the next wine sample. 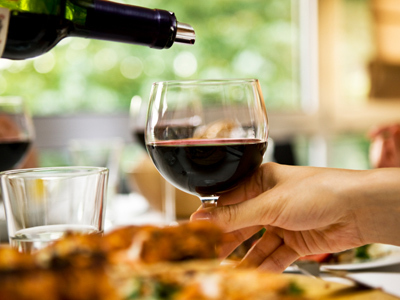 Certain foods can bring out the unique flavor in wine, making it more enjoyable for patrons. Other foods can clear the taste of the previous wine so that the taster is ready for the next flight. This allows guests to better differentiate between the different wines more easily, enjoying the experience more and discovering more of the wines that match their preferences. Many wineries are implementing food into their wine events. A common dish to serve at a wine tasting event is tapas. This is a savory dish that is typically served with drinks and can range from a simple dish to a more extravagant meal. Another popular local dish is Santa Maria Style BBQ. This dish serves to tease the guests’ palates and to bring out the flavor of certain wines. Popolo Catering is known for their prized tapas and has shared one of their favorite recipes below. They are also known in the area for their Santa Maria BBQ and service to wineries. The 2013 Harvest Wine Weekend is scheduled for October 18th through the 20th. Many different wineries will be represented at this festival, making it more difficult for your product to stand out in the crowd. If you hire a caterer to prepare food that will highlight and accentuate your featured wines, you are more likely to make a positive impression on the guests, potentially earning new and loyal customers. Hiring a caterer will also enable you to spend more time with your potential customers instead of being distracted by the needs that arise with serving food. Popolo Catering wants to help you achieve your dreams this year by providing the food you want, at a price that you’ll love and a service that you’ll appreciate. 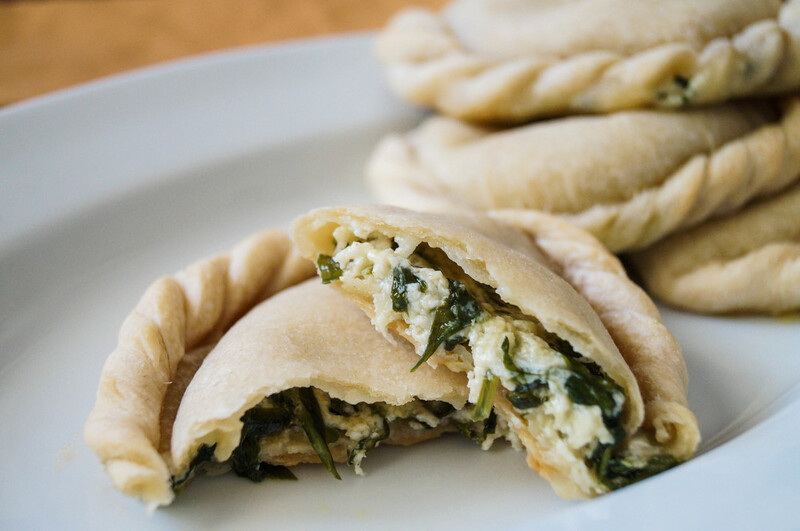 The term empanada is used for any raw or cooked filling wrapped in a dough and baked in the oven or over an open fire. These pies are mentioned in culinary documents as far back as medieval times. Individual servings are called empanadillas (“little pies”). There are also some delicious recipes with sweet fillings. Both sweet and savory turnovers can also be fried. FOR FILLING: Boil the spinach for 10 minutes. Drain. Heat the oil in a skillet and saute the garlic on low heat, followed by the tomatoes. When the tomato mixture is almost ready, add the spinach, bonito tuna and the pine nuts. Cook for 5 minutes, then remove from the heat and add the chopped eggs and some salt. FOR DOUGH: While the mixture is cooking, prepare the dough. Put the flour in a bowl and add the oil, milk, lemon juice, beer, baking soda and salt. Mix by hand until the dough comes away from the sides of the bowl. Leave to rest for 20 minutes. Preheat the oven to 400 degrees F. Roll the dough out thinly. Cut into 4-5 rounds. Place a tablespoon of filling on each round. Fold over and seal, making a narrow rim. Transfer the turnovers to a lightly oiled baking sheet and brush each one with beaten egg. Turn the oven down to 300 degrees F and bake the turnovers for approximately 30 minutes. Serve warm or cold.